EVS knows you want to give your younger riders the best protection possible. Now you can provide that life-saving protection at a more affordable price with the R4 Youth Neck Support from EVS. The R4 Youth Neck Support is built to the same level of quality as all EVS braces, so you can count on it protecting your child’s neck from the same flexion and extension related injuries as the adult sized neck supports. Maybe just as important as protection is comfort. The R4 Youth has soft rubberized edges to eliminate pressure points, fully adjustable sizing to fit growing bodies, and an overall lightweight design. EVS does this so young riders aren’t annoyed with the protective gear and won’t mind having it on. Because no matter how great the protection is, it doesn’t help if it doesn’t get worn. So give yourself peace of mind while your little rider hones their skills. 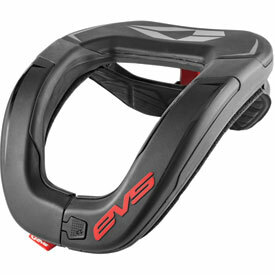 Give them the neck protection they need with the EVS R4 Youth Neck Support. Weight: 386 grams / approx. 0.85 lbs. Fits my 11 year old well and he says its comfortable. Seems to be durable and should last several seasons. with the risks faced every time a leg is swung over a bike, a way to minimize the risk of paralysis cannot be overlooked. My 7 year old has this brace and likes it. seems to be comfortable, fits well, and does not affect his riding. For the price a great brace. I bought this for my 6 year old that has a smaller build it fits better than others we have tried. He says it's comfortable and liked the fit. Purchased for my son, age 5, who is starting to race. Fits very nice with helmet and chest protector. We purchased all safety gear for racing. If we can prevent injuries, it is def worth every penny spent! I went to adjust it for my daughters size and it broke at the adjustment spot. It was the metal screw head that sheered off. I considered just going to the store and getting a different one but it was the principle. Rocky mountain did me right and gave me a refund. I will be ordering another one. I don't think it will affect the integrity of the unit. I would not buy another if I thought the safety would be compromised. Can't express the importance of this riding gear enough. My son who is now 13 wears this neck brace every time he rides. If has done it's job more than once and would definitely recommend this product as a must for youth drivers. 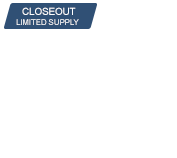 This is a good piece for the price, perfect for the young riders who will probably outgrow it in short order anyway. Seems to offer decent protection and works well with different roost guards. By the time our kids outgrew it they were ready for something more serious and they were big enough to fit some of the higher end braces. My son is 9, 60lbs and slim. This fits great. He won't ride without it. These collars were recommended by a paramedic friend who has worked tracks for 15+ years. He says for the money you can't beat'em...."I've never seen a collarbone injury". I have read this is an issue with some other brands. We recently purchased 3 and after 3 rides no complaints. My boys say "I forget I was wearing it dad". Aside from a minor learning curve getting the collar on and off with the eight year old, no complaints. Fit well with roost protectors. My only complaint is that the graphics wear off fairly quickly. Product exactly as described and functions well. The price is also hard to beat. Works great! Would recommend it to others. The R4 neck support is a great safety item not only for my kids, but me too. I bought the adult model after seeing how good they are. It's light enough for my youngest, but still works great for my 12 year old. They have never complained about the fit or weight, and they have been using them a few months now. Highly recommend, especially for the kids. I bought this for my 7 year old son. It is very lightweight and durable. He has already put it to the test. Took a pretty hard digger and rolled over his head. I also use the adult size and love it. I used to use the older style EVS neck brace and hated it but this one allows me to turn my head around without ubstruction. Got this for our 5 year old son. Works very well, and he didn't mind it at all. Still has good range on motion wearing his helmet, and believe this unit will help protect his neck from injury. Only reason this didn't get a 5 star is the removable pin to adjust the neck support broke when I was tightening it up, looked like plastic. We just went to the hardware store and bought a metal bolt and lock nut for it and prefer it over the plastic one any day . I have a daughter that’s 10yrs old and weights in at 70lbs. And 52” will this fit and have no problems? BEST ANSWER: My son is 8 and weighs 50lbs and is about 50” tall. It fits him just fine. The adjustable strap around the back and chest allow you to tighten and loosen that portion. Can’t answer as to whether it would fit but sometimes it helps to get info from others. This is a great item and I do believe this will fit your daughter but if she whares a full protective jacket like the fox one then she might feel a little uncomfortable, my son who has both complained that is is hard to move his neck in it. I purchased two of these. One for my 7 year old and 10 year old sons. If fits both of them. Not too big for the 7 or too small for the 10. I don't see why this wouldn't work for her. The spec indicate it will. It should work for her for a few years too. It should. Both of my 9 year old boys wear them comfortably with wiggle room. I bought this for my son for Christmas just wondering if everyone else is came with a harness system? BEST ANSWER: I bought the white one for my grandson last year and it had a harness system that wraps around his chest and then back up to the neck brace. The harness is made of 1" webbing. I also bought one for my son and it did come with a harness although he doesn't use it as the brace stays in place very well with all his other safety gear. Yeso, it's what keeps the brace located under the helmet. Think of it as upside-down suspenders. Ours did come with a harness. It fits really good with fox raptor profame chest protector. Yes it does .. when purchased from Rocky Mountain ATV. No, nothing else came with it, just the harness itself. Yes, each arm goes through and a latch in the front. Is getting a neck brace worth it? BEST ANSWER: Absolutely. Of all the injuries risked every time a leg is swung over a bike (motorcycle or bicycle...my kids race mx and bmx) the worst thing that could happen, aside from death, would be for them to wind up paralyzed. My 7 year old has this brace and likes it. It does not affect his riding, cause him discomfort, etc. For the price a good brace. The purpose of a neck brace is to limit how far your neck will bend in the event of a crash so this must be used with a helmet. Is it worth it? Much like seatbelts in a car they could reduce the consequences of crash. If there is a possibility of this happening then I would say yes, it is worth it. I would say it definitely is. They are shown to reduce the risk of neck and or spinal injury in a crash. Probably unnecessary for a minor collision, however may save you from being paralyzed in a major one. Yes it is extremely important to wear a neck support to protect the rider from injury. I’ve seen a lot of kids that wear them mine included, I won’t let my son race without one. Yes, I believe it is! My son is a smaller build and this one seemed to be more comfortable for him. My wife is 5' 1", and weighs around 125lbs. Would the youth brace be the recommended fitmet, or should I go with the adult size? BEST ANSWER: I would recommend the adult size. You want the correct fit. My son is 9 and there isn’t much extra room so I can’t envision an adult wearing it. Thanks for that response! I went ahead and purchased the adult version! You may want to check with the manufacturer but her height and weight fits the youth size recommendations. Thanks, I decided to purchase the adult and worst case return for the youth option! My son is 125 pounds but only 10 and it fits him well no complaints yet. thanks for the reply, I purchased the adult. Worst case I can send back with and order the youth version! Thanks! I decided to purchase the adult and if it doesnt fit, I'll return and get the youth version.